The European Space Agency (ESA) and the Indian Space Research Organisation (ISRO) signed an agreement on 27 June 2005 for including European instruments on board India's first scientific mission to the Moon, Chandrayaan-1. This agreement, under the umbrella agreement for co-operation already existing between ISRO and ESA, was signed by Mr G Madhavan Nair, Chairman of ISRO, and Mr Jean Jacques Dordain, Director General of ESA, at Bangalore. Chandrayaan-1 is planned for launch around 2007 on board India's Polar Satellite Launch Vehicle. 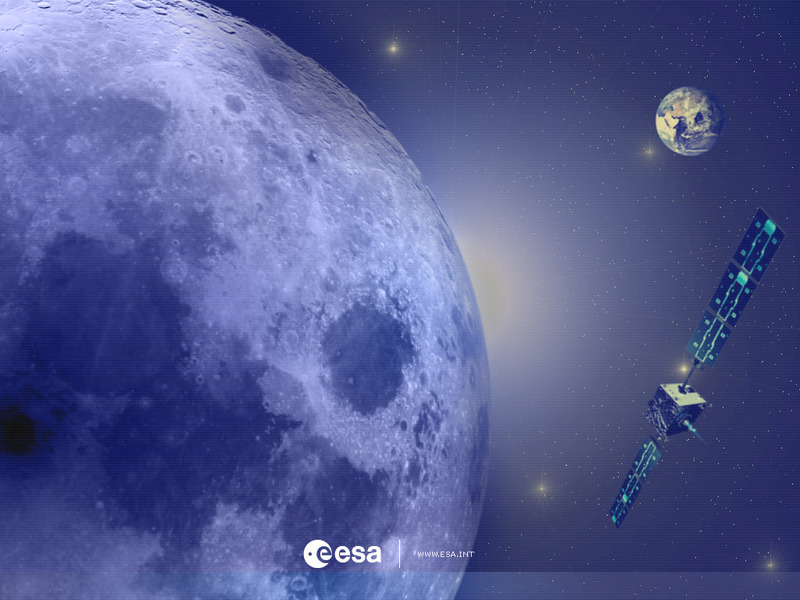 The 525 kg satellite will be placed in 100 km polar orbit around the Moon with a lifetime of two years. It will help to unravel the mysteries of the origin and evolution of the Solar System and, in particular, the Moon. Under the agreement, Europe will potentially co-ordinate and support the provision of three instruments: C1XS-2, the Chandrayaan-1 Imaging X-Ray Spectrometer; SARA, a Sub-keV Atom Relecting Analyser; and SIR-2, a Near-Infrared Spectrometer. It will also contribute to the hardware for the High-Energy X-ray Spectrometer (HEX). Direct ESA in-kind contributions are also foreseen under this historical agreement. ESA and ISRO will share the data resulting from their respective experiments, as per the agreement signed on 27 June. The instruments requested are identical to those on ESA’s SMART-1. Launched in 2003, SMART-1, having demonstrated a new solar-electric propulsion system and tested other technologies on its way to the Moon, has just started its science phase. It will make the first comprehensive inventory of key chemical elements in the lunar surface. The Indian Space Research Organisation (ISRO), founded in 1969, launched its first satellite in 1975. Since then it has developed a number of launch vehicles as well as satellites for Earth observation, remote sensing, telecommunications and weather forecasting. Chandrayaan-1 marks its first venture into planetary space science.